Conference of Ministers responsible for Culture was held in Baku on 2 and 3 December 2008 on the theme of “Intercultural dialogue as a basis for peace and sustainable development in Europe and its neighbouring regions”. The Conference is organized together with the Council of Europe. This conference was a very substantive initiative which clearly illustrated that dialogue among cultures and civilizations is indeed a realty of today’s world and one of its important aspects. This event was the first of its kind, brought together the ministers of culture of the Council of Europe and the ministers of culture of number of ISESCO member states which makes this Conference another major step in the development of dialogue and mutual understanding in the globalized world. The conference highlighted the vital role of cultural policy and action in fostering understanding among different regions, cultures and provided a great opportunity to launch a sustainable process that will include future high-level and practice oriented meetings between key cultural policy makers and operators in Europe and its neighbouring regions on initiatives related with intercultural dialogue. The Baku Ministerial Conference has offered a key opportunity to follow up the Council of Europe “White Paper on Intercultural Dialogue” and its recommendations, including on how Europe engages in dialogue with its neighbours. The representatives of the 49 States Parties to the European Cultural Convention and of the Council of Europe bodies, representatives from selected mainly Mediterranean ALECSO/ ISESCO member states, senior officials from the Council of Europe, the European Commission, UNESCO, GUAM, TURKSOY, IRSICA, ICOMOS, ICCROM and other international organisations and foundations, European NGOs as well as leading international experts in the area of cultural policy, intercultural dialogue, heritage, and prominent figures from the arts/ cultural community took part in the events in Baku. At the result of the conference Baku Declaration for the Promotion of Intercultural Dialogue has been adopted and “Artists for dialogue” project was launched. As a continuation of the “Baku Process” for intercultural dialogue launched in December 2008 Government of Azerbaijan invited more than 10 states from Europe to participate at the Sixth Conference of Ministers of Culture of Islamic countries held in Baku on 13-15 October, 2009. 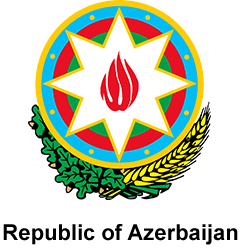 The idea of round table was put forward at the conference of the Ministers of Culture of the European countries on December 2-3, 2008 in Baku and is implemented within the framework of Baku Process of Cross-Culture Dialogue founded in that conference. According to the initiative of the Government of Azerbaijan a Ministerial Roundtable on “Fostering Dialogue and Cultural Diversity – Baku Process: New Challenge for Dialogue between Civilizations was organized among the member states of ISESCO and invited states from Europe in the first day of this conference, 13 October, 2009. The roundtable was moderated by H.E Mr AbulfasGarayev, Minister of Culture and Tourism in the Republic of Azerbaijan, and H.E. Dr Abdulaziz Othman Altwaijri, Director General of ISESCO. In this roundtable, the representative of the Council of Europe expressed the European Community’s desire to enhance North-South cooperation through concrete initiatives, and invited ISESCO and its Member States to further their cooperation relations with the Council, to attend the meetings and conferences it organizes and to contribute to the cultural projects favouring the materialization of the objectives specified in the Working Document of the ministerial roundtable and relevant documents. On the same occasion, the rest of speakers in this roundtable stressed the vital need to continue holding such meetings between the Islamic group and the European Community, to involve governments, peoples, states and cultures in this dialogue, to make the youth as the main target group of cooperation projects of the two blocs, and to focus the international efforts in this regard on caring for cultural heritage, cultural works and cultural property wherever they are endangered. At the close of this ministerial roundtable, a Communiqué was adopted in which the participants reiterated their support for the joint efforts aimed at spreading the culture of cooperation, fair dialogue and mutual respect. Participants of the roundtable emphasized the necessity to promote bilateral, regional and international cooperation between official bodies; governmental organizations; and local community institutions through the encouragement of the free movement of ideas and persons, and the entrenching of the principles of mutual acquaintance and solidarity to transfer and share leading expertise and experience in the Communiqué.